Apologies for being MIA last week. I'm not promising it won't happen again this week. The last two weeks have been filled with travel, a bad experience with a tree service company, a dog with a cast and a cone, AND a toddler with a double ear infection. I'm extremely grateful for all of it and grateful to all of you for sticking around. I might be back with a brand new redesign to boot! 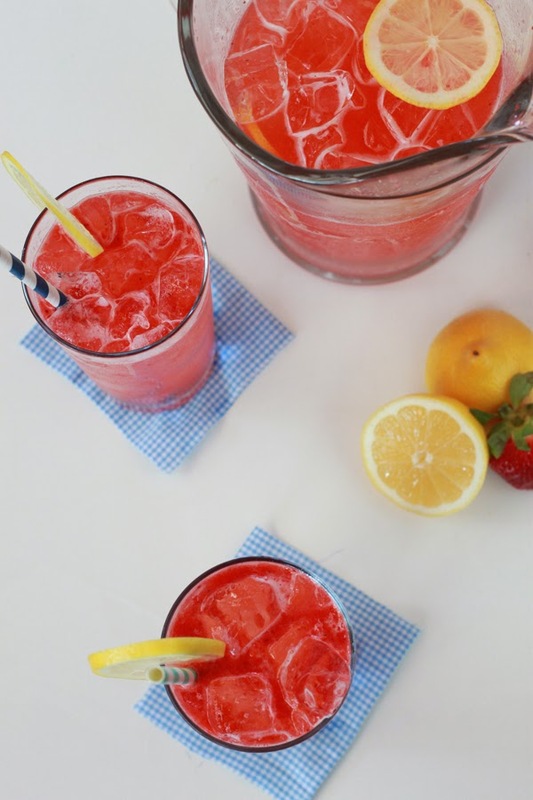 I did share the awesome Roasted Strawberry Lemonade on In Honor of Design last week. I'm kind of obsessed with it and have made several pitchers since I first perfected it. Get the recipe here. This sounds absolutely divine! If I make a pitcher - or five - do you think Spring will finally make it's way to Ohio?